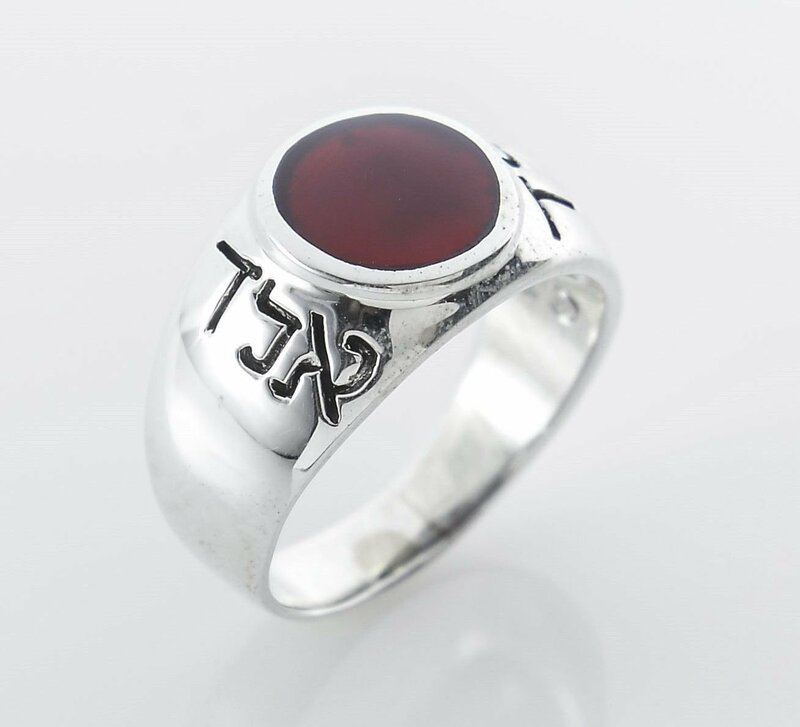 Mysticism solid sterling silver 925 ring set carnelian . The intent of this letters from the kabala - Saving and Protection . Stone size - 13x13 mm , 0.5x0.5 inch.